Salt linked to autoimmune diseases | Views of an atheist techno-pagan. Nanowires show sodium chloride may cause harmful T-cell growth. Salt may play a role in the overproduction of immune-system cells that attack an organism’s own tissues. The incidence of autoimmune diseases, such as multiple sclerosis and type 1 diabetes, has spiked in developed countries in recent decades. In three studies published today in Nature, researchers describe the molecular pathways that can lead to autoimmune disease1 and identify one possible culprit that has been right under our noses — and on our tables — the entire time: salt2, 3. To stay healthy, the human body relies on a careful balance: too little immune function and we succumb to infection, too much activity and the immune system begins to attack healthy tissue, a condition known as autoimmunity. Some forms of autoimmunity have been linked to overproduction of TH17 cells, a type of helper T cell that produces an inflammatory protein called interleukin-17. But finding the molecular switches that cause the body to overproduce TH17 cells has been difficult, in part because conventional methods of activating native immune cells in the laboratory often harm the cells or alters the course of their development. So when researchers heard a talk by Hongkun Park, a physicist at Harvard University in Cambridge, Massachusetts, about the use of silicone nanowires to disarm single genes in cells, they approached him immediately, recalls Aviv Regev, a biologist at the Massachusetts Institute of Technology (also in Cambridge) and a co-author on two of the studies1, 2. In the second study2, an affiliated team of researchers observed immune cell production over 72 hours. One protein kept cropping up as a TH17-signal: serum glucocorticoid kinase 1 (SGK1), which is known to regulate salt levels in other types of cells. The researchers found that mouse cells cultured in high-salt conditions had higher SGK1 expression and produced more TH17 cells than those grown in normal conditions. “If you incrementally increase salt, you get generation after generation of these TH17 cells,” says study co-author Vijay Kuchroo, an immunologist at Brigham and Women’s Hospital in Boston, Massachusetts. In the third study3, researchers confirmed Kuchroo’s findings, in mouse and human cells. It was “an easy experiment — you just add salt”, says David Hafler, a neurologist at Yale University in New Haven, Connecticut, who led the research. 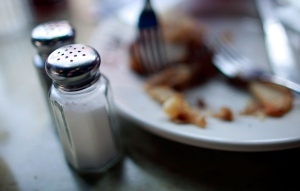 But could salt change the course of autoimmune disease? Both Kuchroo and Hafler found that in a mouse model of multiple sclerosis, a high-salt diet accelerated the disease’s progression. ** The source on nature.com is longer, please go there if you want to read more about this. I’d suggest you do – and adjust your diet if you use a lot of salt.